Truck With 20 Tons Of Nutella And Chocolate Vanishes; Police Hunt For Semi's Sweets : The Two-Way The theft happened this weekend in Germany, according to officials who warn: "Anyone offered large quantities [of chocolate] via unconventional channels should report it to the police immediately." 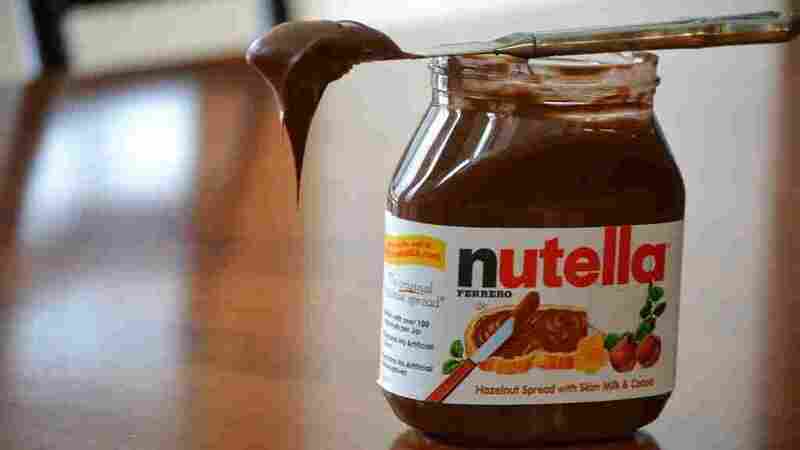 Thieves made off with a refrigerated trailer packed with Nutella, Kinder Surprise eggs and other treats in Neustadt, Germany. "Anyone offered large quantities [of chocolate] via unconventional channels should report it to the police immediately." We trust you'll abide by those instructions from law enforcement in Germany, where more than 20 tons of chocolate treats have gone missing after thieves stole a refrigerated trailer packed with Nutella, Kinder Surprise eggs and other sweets. All told, police in Neustadt believe the confections stolen over the weekend could be worth upward of $80,000, according to German newspaper Deutsche Welle. And a "spokesman told local media the perpetrators would have needed a truck of their own, not just a car, to be able to tow such heavy cargo." As the newspaper notes, the chocolates weren't the only treats purloined in Germany this weekend: Another trailer, this one packed with 30 tons of fruit juice, disappeared from Wittenberg on Saturday. Now, it should be noted Germany is not the only place to suffer from brazen grand theft larder. Of course, there was that time Austrian police sniffed out — literally — more than 9 tons of stolen garlic stuffed into vans crossing the Hungarian border. Or, if you would prefer to go against the grain with a stateside story, there's always that guy who stole a bakery's delivery truck in New York City and started randomly passing out bread — all the while clad only in his underwear. And chocolate hasn't been safe in the U.S., either. Earlier this summer, NPR's Laurel Wamsley reported that two members of an alleged Russian crime syndicate were charged with arranging "the transport and sale of a whopping 10,000 pounds of 'stolen chocolate confections' to a government informant." For now, though, German police are hoping to spread the word about the Nutella theft. And if you should happen to come across more than 20 tons of chocolate lying around, the local police spokesman offered another helpful suggestion: "I wouldn't throw any of that away."